Living Social 20% OFF Code – Ends Tomorrow! There’s an awesome deal going on for Living Social now until Tomorrow! You can take 20% off your next purchase by entering promo code JULY20. 3. Enter code “JULY20” and hit apply. and you’re all set! Happy browsing! We are loving these baby deals. 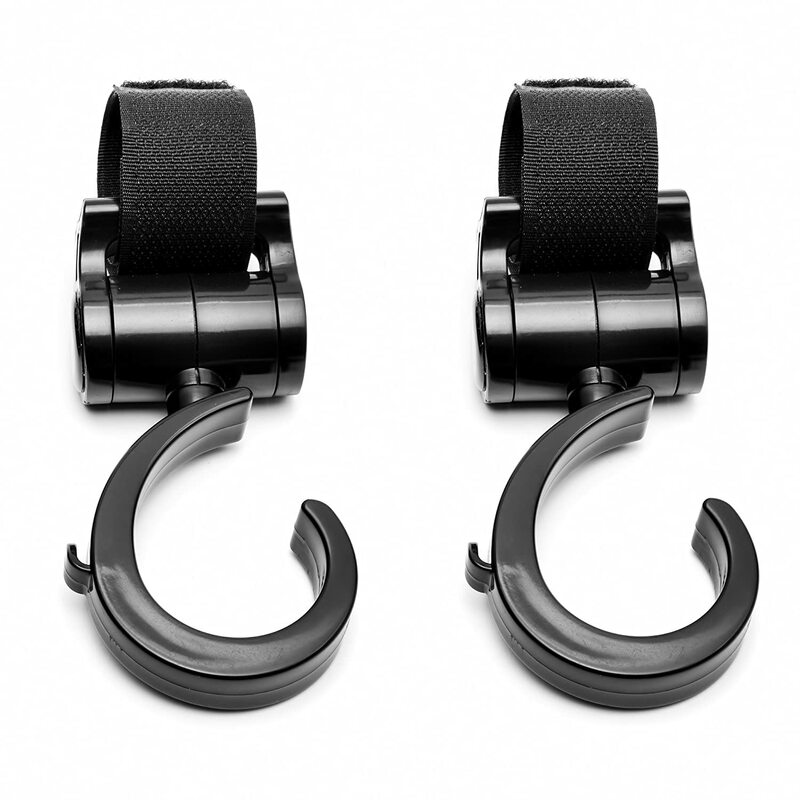 Check this one out from Amazon.com – a set of 2 Stroller Hooks priced at $14.78. Enter coupon code I5Z8KGZ3 at checkout, the price drops even further to just $7.38 for both — or only $3.69 each! If you have Amazon Prime- it’s free shipping! Target is offering a great deal on USB drives this week. The SanDisk 8GB USB drives are buy one get one for $1.00. If you have kids in junior high or high school these are always needed (and often lost), so I like to pick up a couple when they are on sale. Not to mention these jump drives have fun prints on them! The Munchkin Sprout Drying Rack is currently at the lowest price of $9.07 on Amazon. This product has many extremely positive reviews resulting in a 4.8/5 star rating. Wow! 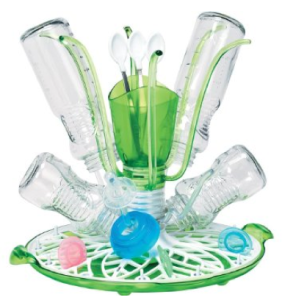 Add this item to another order to total $25 and you’ll get free Super Saver shipping. Want free 2-day shipping with no minimums and 20% off diapers and wipes? Sign up for a free 3-month trial of Amazon Mom. FREE CVS Facial Cleansing Towelettes! Have you scanned your shopper’s card at CVS yet this week? Check & see if you receive this coupon from the Coupon Machine. If so, you can pick these up for free! 5 Star Notebook, $.50 cents at Target! We’ve already begun posting about this year’s Back To School sales, but I wanted to point out a new deal using the $1/2 Five Star printable coupon! This week Target has the Five Star notebooks on sale for $1.00 each, but you’ll only pay $.50 after coupon! Final Price = $.50 each! I love this hot deal! This week, Toys R Us is offering Crayola Crayons, 24 count boxes for just $0.25 each!! You will need to purchase 4 in order to get this price. You are also limited to a total purchase of 8 boxes. This is what I call stock up pricing! Head over to The Disney Store online because right now you can purchase Disney Backpacks for $15 (regular price $19.95)! You can also score matching lunch totes for $10 (regular price $12.95). Choose from Ariel, Monsters University, Minnie Mouse, Doc McStuffins, Cars and many more! Plus, get FREE Shipping every day on orders of $75 or more when you use the code SHIPTODAY! MAKE SURE to do this deal through ShopAtHome.com or through Ebates for 3% cash back! Right now you can get Oh, Baby! Go, Baby! 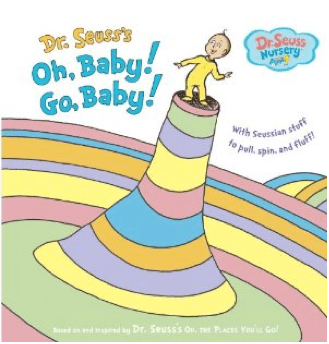 (Dr. Seuss Nursery Collection) [Hardcover] for only $7.91. This is a sweet book for your nursery collection! The Bumbo Floor Seat, Lilac is currently a good deal at only $35.33 on Amazon. That is 29% off the list price and pennies from the lowest price I’ve seen this listed for! This updated bumbo has a seat belt to prevent falls even when the bumbo is on the floor. The blue Bumbo and the green Bumbo are also in the $35 range.